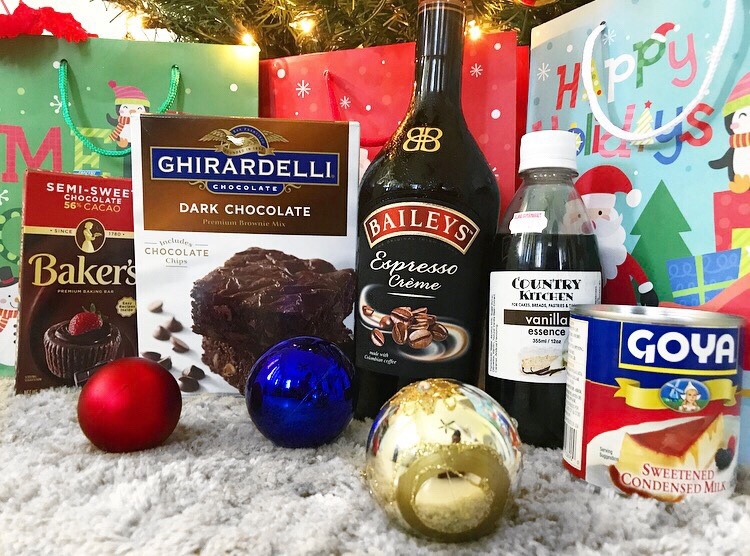 CHICmas Day 4 – Two Yummy Christmas Treats That Will Spice Up Your Holiday! ‘It’s the most wonderful time of the year!‘ Why yes, yes it is! As a self proclaimed foodie, I love Christmas, not for gifts or even family fun, but for the FOOD and Christmas Treats, especially Ham! I really, really enjoy the typical foods present at a Caribbean Christmas lunch/dinner such as rice and peas, scalloped potato, macaroni pie, baked chicken and the list goes on. However, I am not such a fan of the Caribbean Christmastime drinks and desserts. It is practically blasphemy for me to admit that I hate black cake, fruit cake, sorrel, ginger beer and mauby. Coconut tart I do like, but I could live without it. This Christmas, I decided to do things my way and forgo the usual Christmas treats and instead indulge in the sweet treats I love the most. In addition to the traditional Christmas lunch, my family will also be having a Boxing Day Brunch, a fun, light festivity we started last year. For an afternoon treat after what will most likely be a huge Christmas lunch, I opted for my favourite sweet treat, Brownies, with a special twist. 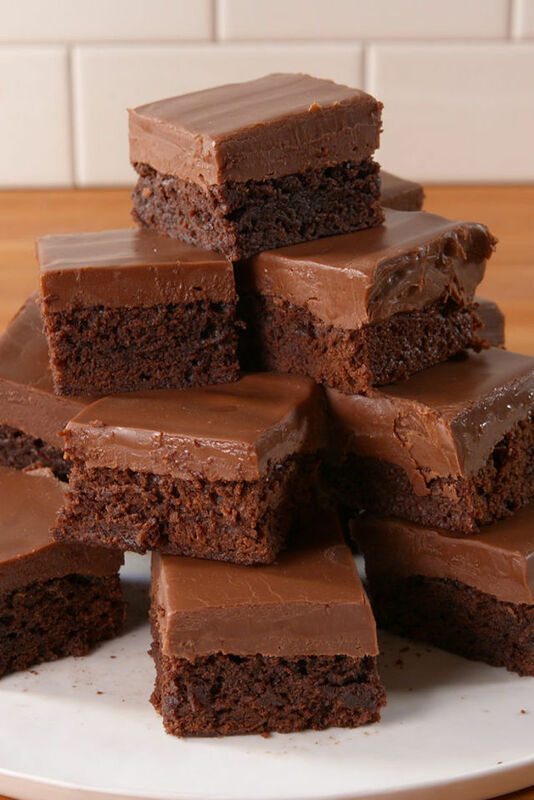 I came across a recipe for Bailey’s Brownies on Delish, a fun and simple recipe website, and they sounded delicious! We love Baileys and Ponche Kuba at Christmas time, so it was the perfect match. The below recipe is courtesy, Delish. • Bake brownies according to package instructions. • In a medium bowl, combine sweetened condensed milk, milk chocolate chips, baileys Irish cream, vanilla and salt. Place bowl over a pot of barely simmering water to create a double boiler and stir constantly until the chocolate is melted. • Pour fudge mixture over cooled brownies. Refrigerate until set, about 4 hours. • Slice into squares and serve. N.B. I will be making a few adjustments to this recipe for my Bailey’s Brownie based on availability and cost. I substituted Vanilla extract for Vanilla Essence and Milk Chocolate Chips for a Semi Sweet Chocolate Bar. I’m sure both will still be delicious! 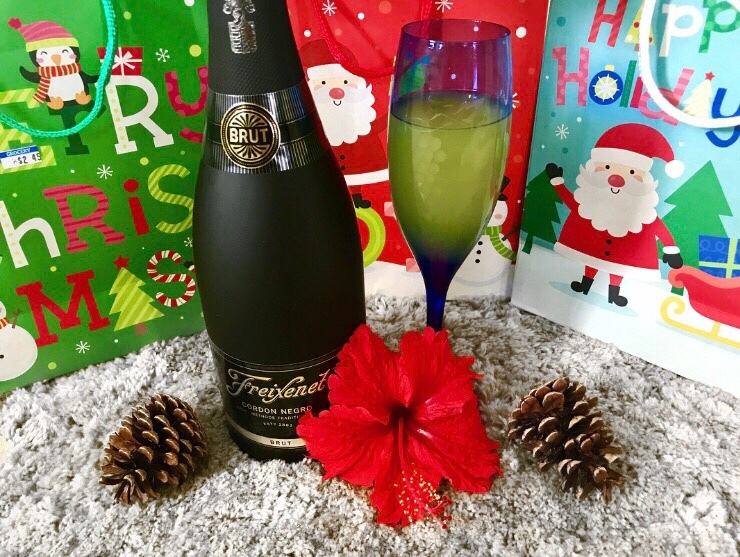 For the Boxing Day Brunch, I decided to stick to the classics and go with Mimosas, a brunch staple and super easy to make. 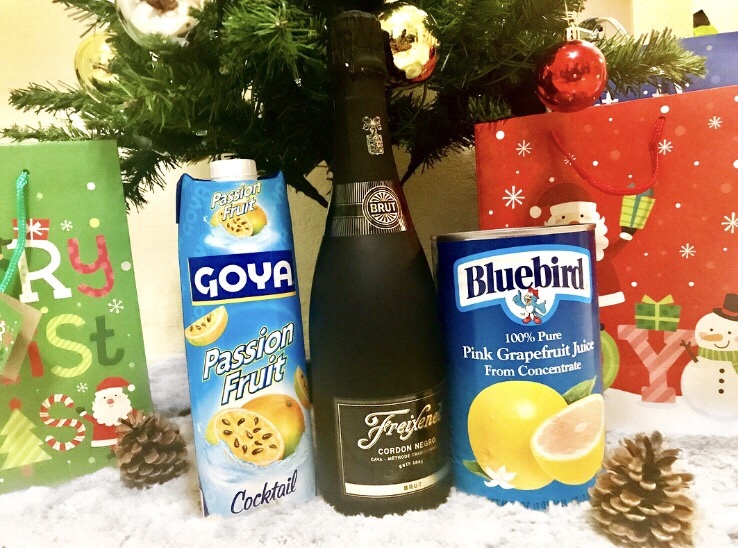 I recently attended a fun,short course at the Anguilla Community College on ‘Making Christmas Cocktails‘. I have always had an interest in Bartending and I appreciated the creativity and effort that goes into making the perfect drink. 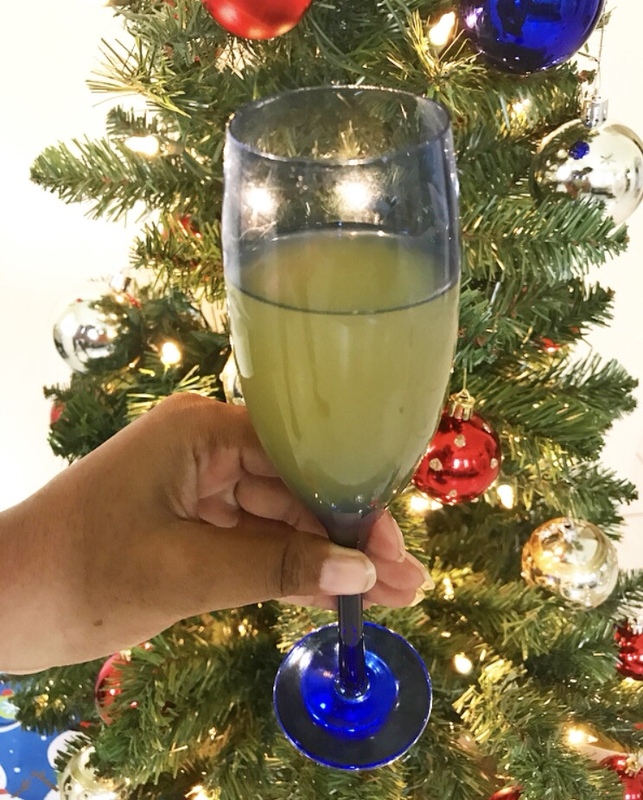 However, because Christmas is such a hectic time with all the cooking and cleaning and napping (after all the work), the mimosa is the perfect option for a lazy, boozy brunch the next day. Usually, mimosas are composed of equal parts Champagne and chilled Orange Juice. However you can use any dry sparkling wine, Prosecco or juice of your choice. Passion fruit is my all time favourite, so of course I opted for that flavour instead. Grapefruit and Mango are also great options to add some island flavour. • For each mimosa, fill the glass 1/2 or 2/3 of the way with desired juice (or mix of juices) as desired. Top with champagne, and ENJOY! Just TWO MORE DAYS until I am in Food Heaven! I hope everyone has a super tasty Christmas and remember that while Christmas is all about traditions, there is nothing wrong with making it your own and having the kind of Christmas you desire with all your favourite things! BE SURE TO CHECK OUT CHICMAS DAY 1, CHICMAS DAY 2 and CHICMAS DAY 3 as well! WHAT ARE YOUR FAVOURITE CHRISTMAS TREATS? SHARE BY DROPPING A COMMENT BELOW! Next Post CHICMas Day 5 – A Non- Sparkly New Years Eve Outfit That Puts the CHIC in CHICmas!